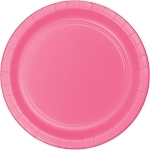 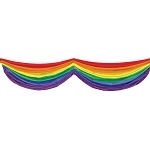 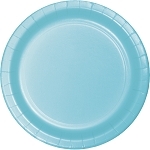 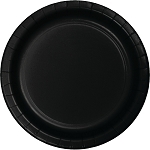 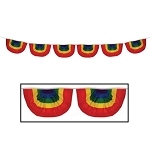 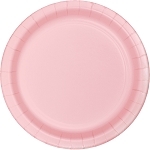 Energize the party scene with an oversized gay rainbow flag wall decoration or backdrop. 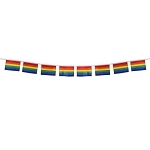 Use this brightly colored 5-foot x 6-foot plastic mural of the 6 gay rainbow flag colors as a backdrop for a serving table, bar or photo booth. 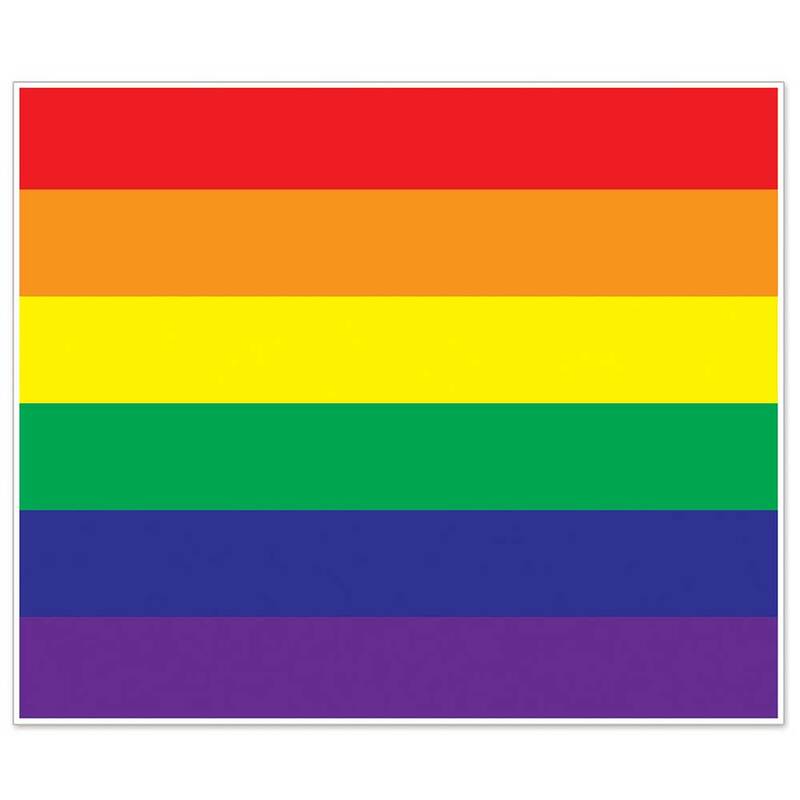 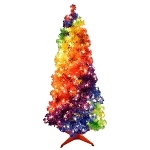 Featuring the 6 rainbow gay pride flag colors from top to bottom: red, orange, yellow, green, blue and purple.